At only $16.58 the MOTOROLA MBP20 Replacement Battery for the Motorola Digital Video Baby Monitor is more power for less money. This is a long-lasting and reliable replacement battery for your Motorola MBP20 Baby Monitor and as every parent knows when it comes to our babies security - reliability and performance are vital. all baby monitor batteries are not created equal. the motorola mbp20 replacement battery is the right choice for those seeking performance and efficiency. from their high-quality construction - the mbp20 replacement battery shows motorola as a brand you can trust. also the original specifications set forth by motorola have been met or surpassed. 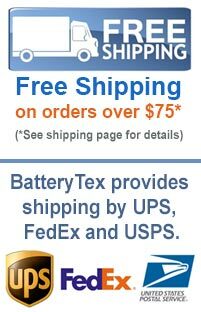 batterytex.com, an industry leader in replacement batteries - featuring some of the lowest online rates available. thanks for choosing batterytex for your battery needs. contact us now at 1-888-825-6661 for assistance and information on mbp20. looking for more baby monitor batteries batteries? click here. 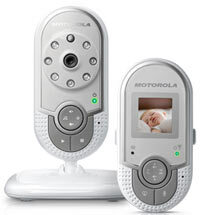 click here to view our entire stock of items for motorola products. with better materials and manufacturing processes batteries have become smaller, more efficient and more affordable. contact us for more info on our warranties. a normal battery warranty from the manufacturer is for one year.